Did you attend the Google Cloud Next? Our organizers attended is going to share what they learnt with us. And of course we will do a video playback of the keynote also. 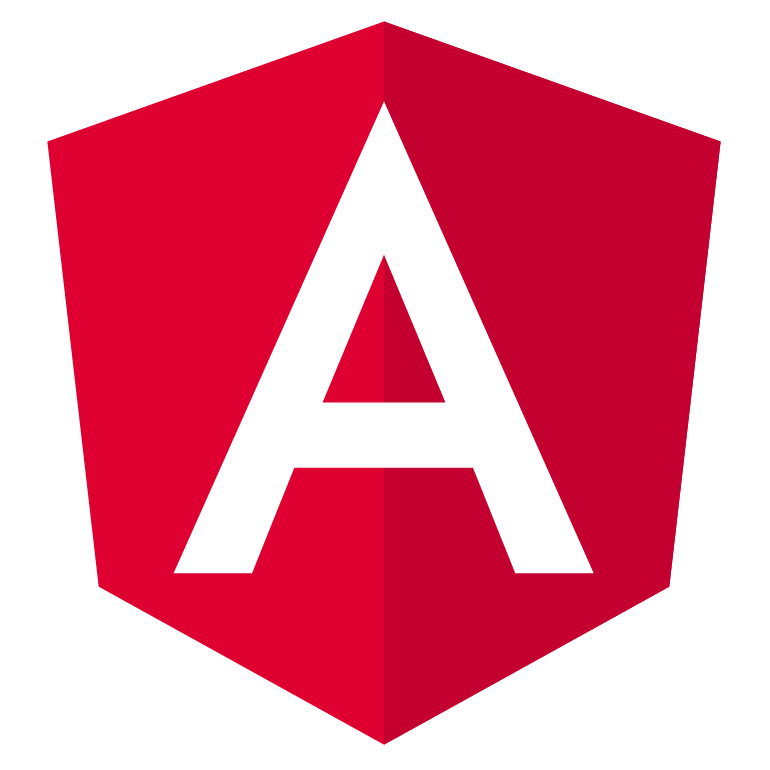 Update: Kazunori Sato, Staff Developer Advocate from Google, will be joining us. 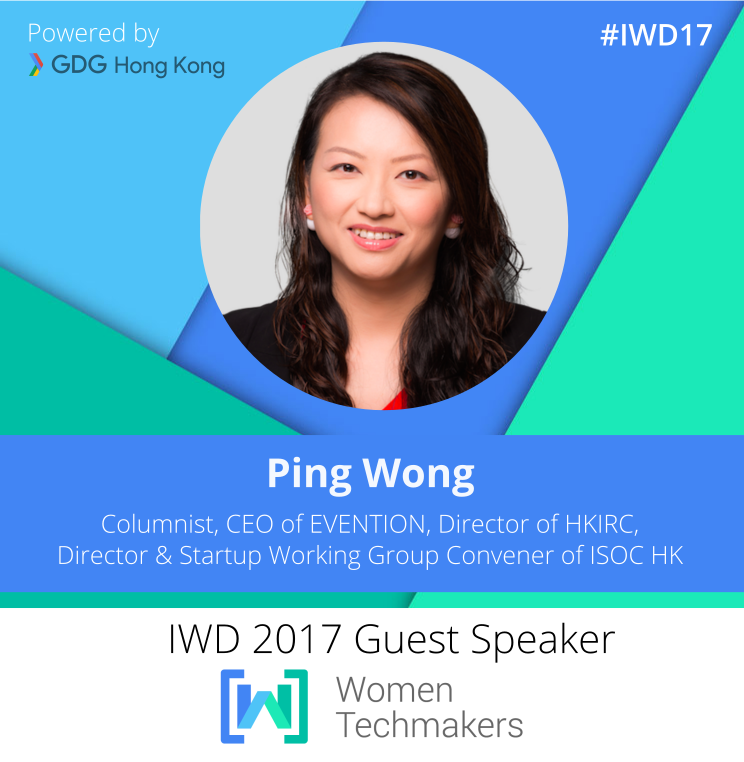 This year, WTM Hong Kong will celebrate the International Women’s Day(IWD) on 8th of April. A half day event features inspiring speakers, technical sharing and networking opportunities. ^ Talk Sessions will be conducted in Cantonese with English slides. Women who are working in Technology, learning about Technology, or are just interested in Technology. We also welcome other gender, we encourage you come with your women friend who is in technology. * Volunteers open for registration now, application for Volunteer will close at 17th of March(Fri) 23:30. Ping has been working in ICT industry over 15 years as a business development and marketing professional, also a columnist for multiple well-known media . 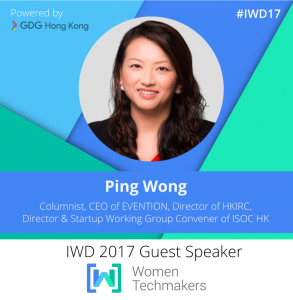 She is a serial female entrepreneur and currently the CEO of EVENTION. 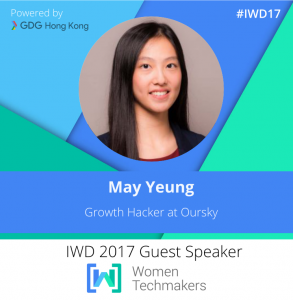 She also contributes to the Internet community by taking volunteer work of being Director and Startup Working Group Convener of Internet Society Hong Kong and Director of Hong Kong Internet Registration Corporation. As a young company, its innovative projects have received fundings like Technology Start-up Support Scheme for Universities (TSSSU) 2016/17, Cyberport Incubation Programme 2016/17 and DBS Accelerator Program2016. In 2015, Mr. Kinni Mew was nominated by CityU to join the Cyberport University Partnership Programme (CUPP). In collaboration with Stanford Graduate School of Business, Mr. Kinni Mew went to Silicon Valley for a one-week entrepreneurship boot camp and visited Google, Facebook Headquarters and other companies at Silicon Valley. Mr. Mew was then awarded with cash prize of HK$100,000 in the ‘Global Entrepreneurship week China-Hong Kong’. Throughout his 15 year career, Andrew has worked extensively both as a UX Design, Product Management and Agile leader. Previously he was Head of Product Management & Design at SEEK Asia (jobsdb & jobstreet) and Director of User Experience at Razorfish in New York City. He has lead product design and management for projects around the world with Ford, Mercedes-Benz, SEEK, Lonely Planet and Racing.com. Google has just released Android Things Developer Preview 2. Want to know more about this IoT platform? We will have a sharing on Android Things on 18-Feb in City University of Hong Kong. 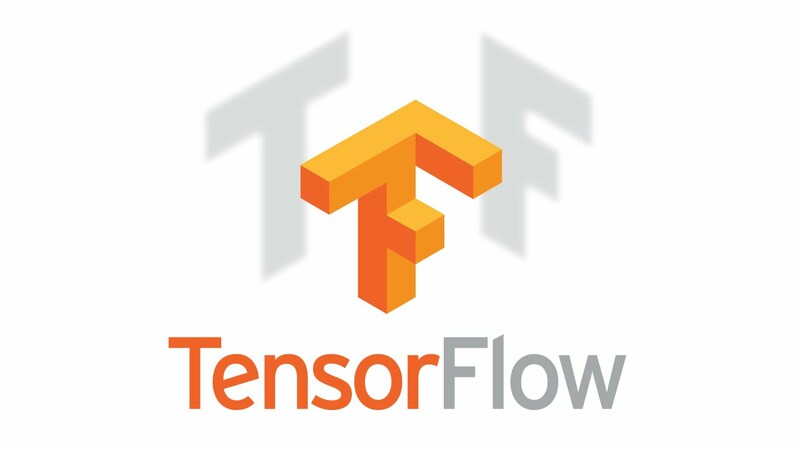 TensorFlow Dev Summit will be held in Mountain View on Wednesday, 15 February 2017. Knowing watching live stream in the midnight on a weekday is difficult for us. This time, we will have a catch-up on the Saturday instead. 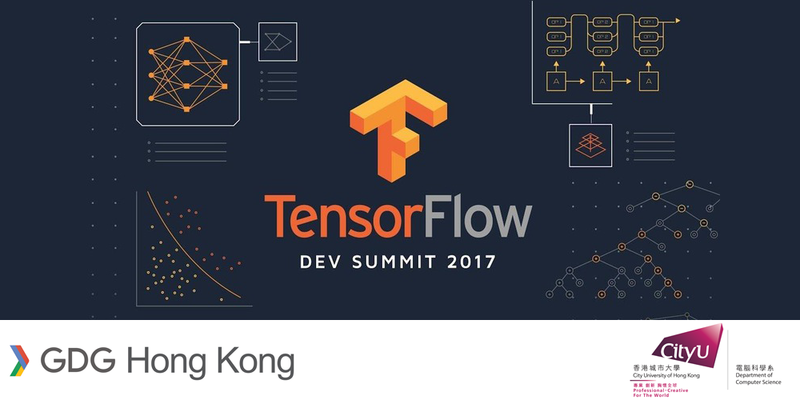 Let watch the Keynote together (once again), and discuss more on TensorFlow. It’s been more than 4 years since Google last Google Developer Day (GDD) in China. 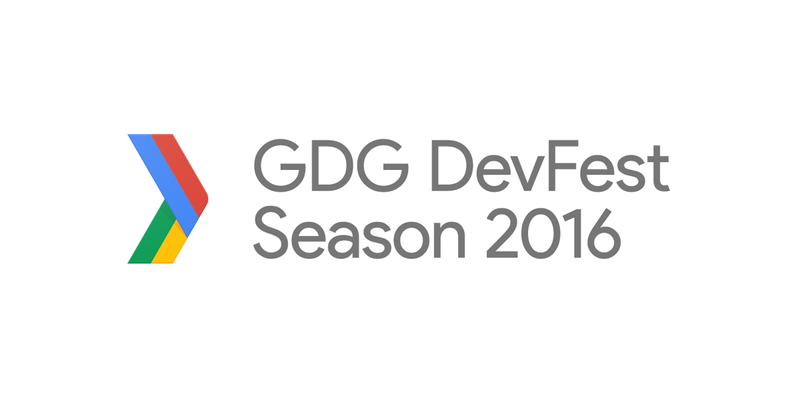 This year, Google decided to host the GDD in Beijing and Shanghai on Dec 8 (it’s tomorrow!) and Dec 14 respectively. To save your time flying in town (we all know it’s a weekday… phew), Google provides live-streaming for the first hour of the event! Hi all! It’s been just two weeks from our DevFest this year and we’re now having another event! It’s been our honour to have Wolff Dobson of the Google Developer Relations team to come in town and give a workshop on TensorFlow! This will be an interactive workshop with Wolff doing some coding, presenting some slides and hanging around to see the progress of individuals. You’re highly recommended (we try to avoid the word “required”) to bring yourself a laptop so that you can follow better by doing some hands-on exercises. To make the whole event more efficient, we encourage you to follow the instructions as at: https://github.com/random-forests/tensorflow-workshop so you do not need to download it at the venue. 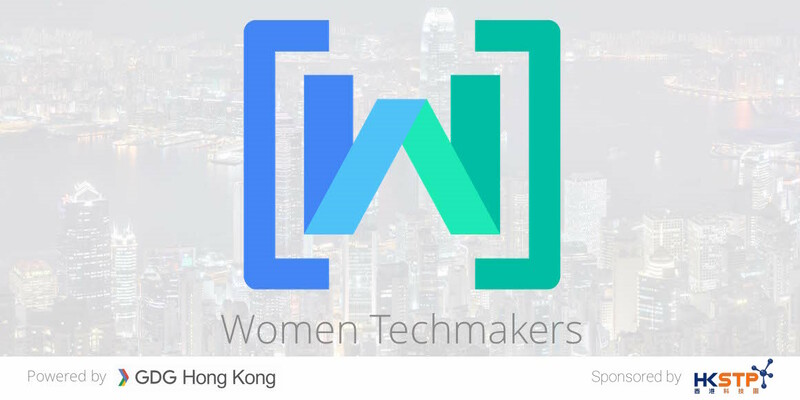 The biggest Google tech conference in Hong Kong carefully crafted for you by GDG community! All about Android, Web and Cloud from the world expert.s. Do you still remember the robot arm NEKONOTE, which is powered by#TensorFlow , in #io16 ? We decided to integrate this event to be part of the GDG DevFest Hong Kong 2016, click here for event details. Since the Black rainstorm signal is active. The event tonight is CANCELLED. The first retail Android device with Tango is approaching. Are you ready to launch your first Tango application? We’ve invited Tony Chan to join our meet-up in October.